For this project, Koerner gathered his influences from Jain temple columns; the theories of Ernst Gombrich on order and complexity; his local tutors at Barlett, including Oliver Domeisen; Candas Sisman; traditional Indian architecture; and Adam Hardy. 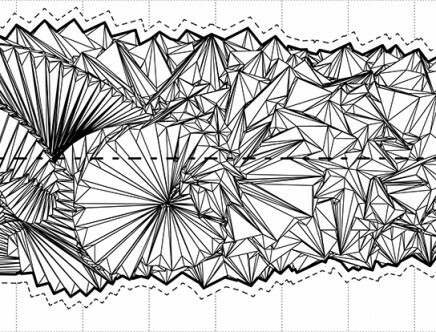 The geometry is translated along a linear path. Along this path several key transformations—scaling and rotation—are defined, resulting in a total of 400 instances. 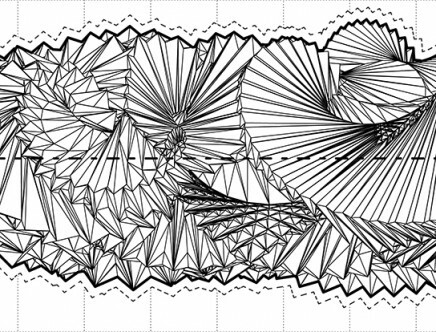 Initial formal studies, playing with different densities of transformations along the path, resulted in the appearance of patterns. Hence, this process leads to endless iterations of self-similar geometric figures; a sense of hierarchy and order was introduced by combining the formal process with a system of order: the chess set. Click and hold to rotate model. Click the comment icon to begin a guided tour. 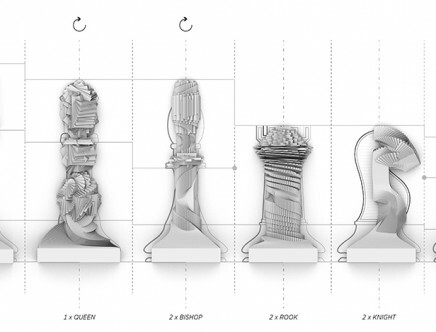 Analyzing the common appearance and configuration of traditional chess pieces and their associative potentials, resemblance, and hierarchy, the study led to a new kind of formal language. Proportion and symmetry within one chess piece define its appearance; relative size and number of similar units within a given team create hierarchy and order. 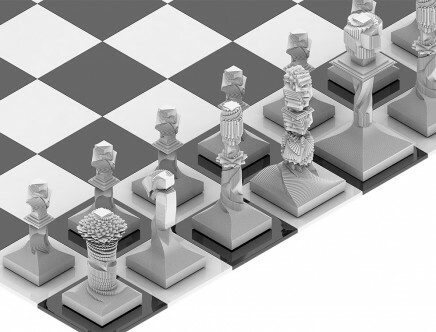 According to the defined design principals, any class’ appearance within the chess set can be run through endless random iterations thereby resulting in endless self-similar units, each set individually following the same set of rules.